Born at Toronto, Ontario on 17 March 1872, son of Alfred Hoskin KC, and Eliza Jessie Hoskin. He graduated from Upper Canada College (1889) and Trinity University (1893), receiving from the latter a Gold Medal in Law and Bachelor of Law degree. He was called to the Ontario Bar in 1894 and practiced law practice at Toronto with the firm of Hoskin, Ogden and Hoskin. He came to Winnipeg in 1903 and became a barrister and solicitor with the firm of Campbell, Pitblado, Hoskin and Company. He was made a King’s Counsel in 1909. 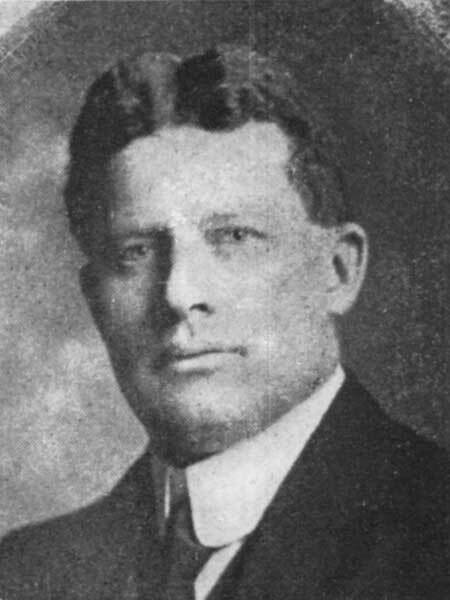 He served as President of the Law Society of Manitoba from 1928 to 1931. On 16 September 1908, he married Dorothy Emma Elizabeth James of Winnipeg, daughter of W. J. James. They had four children: Marjorie Dorothy Erskine Hoskin (1909-1980), James Alfred Erskine Hoskin, Ruth Lee Hoskin, and Edward David Erskine Hoskin. He was a member of the Manitoba Club, Carleton Club, Winnipeg Badminton Club, Manitoba Jockey Club, Adanac Club, St. Charles Country Club, Albany Club (Toronto), and St. George’s Anglican Church. His recreations included riding and golf. In 1911, he lived at 91 Harvard Avenue, Winnipeg. He was awarded an honorary doctorate by the University of Manitoba in 1958. He died at Winnipeg on 15 August 1960 and was buried in St. John’s Cemetery. “A. E. Hoskin dies at 88,” Winnipeg Free Press, 15 August 1960, page 9. “Funeral service for A. E. Hoskin Wednesday,” Winnipeg Free Press, 16 August 1960, page 7. Learned Friends, Reiminiscences - Pitblado & Hoskin 1882-1974 by Anna Tillenius.